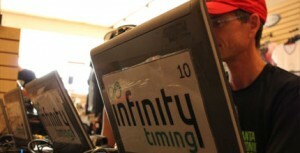 Infinity Timing is your “One Stop- Race Shop Solution” We know how hard it is to organize and handle all the details of a race. We have the tools and equipment designed to assist you. We have the solutions to take the legwork out of your race. Your race is our number one priority! 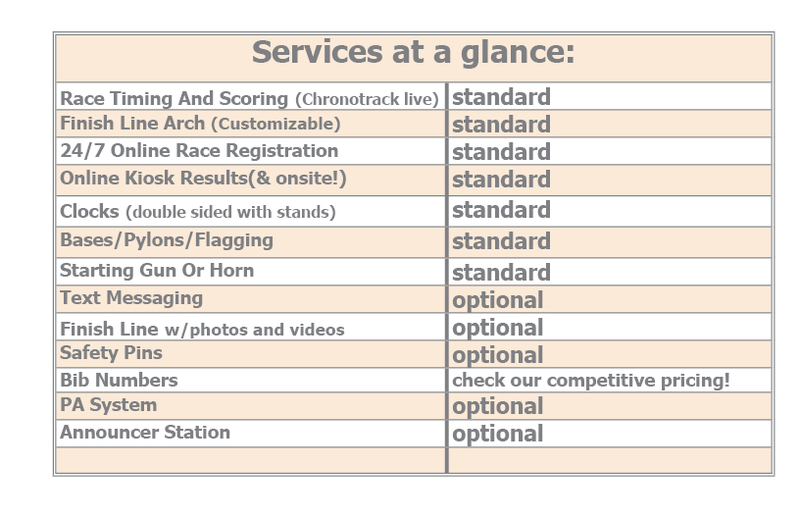 We use Chronotrack Live and the disposable Chronotrack timing chip to provide fast and accurate results! NO FEES FOR LOST TAGS!!! NO LINES @ FINISH! Registration never shuts down or closes for data porting so you never lose out on registration revenue!!! We offer report printing when needed. Discover seamless transition from Online Registration to Packet Pickup, to Race Day registration and results. Computerized and paperless making registration easy and simple. Credit card payments can be accepted onsite. 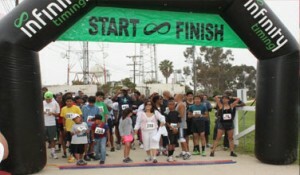 Bibs can be pre-assigned, or assigned race day. Athletes can find their results online as soon as they cross the finish line! Results are instantaneous: Once a runner crosses the finish line, they can view their stats at our kiosk or on the web, and even post it on social media. GO GREEN! No paper mess. Less Lines its easy to find results! We have optional and expanded services available to enhance your race so you can offer your participants an even better experience. 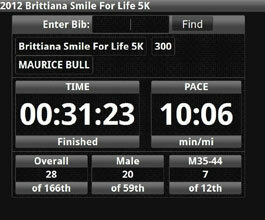 We offer easily searchable results from the website: Use bib# or runners’name. We can also offer free downloadable pictures and a 25-20 second video clip showing them cross the finish line. Which can be linked to social media.